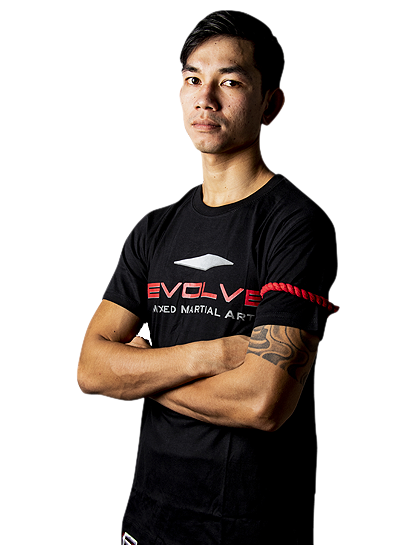 Sarawut Sor Jor Wichit Padriew is an Instructor at Evolve Mixed Martial Arts in Singapore. 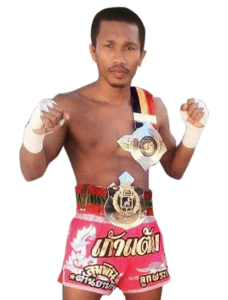 He is a Lumpinee Muay Thai World Champion, Channel 7 Muay Thai Champion, and more. Known for his slick, technical style, he has fought some of the greatest Muay Thai legends such as Petmuangchon Por Suantong, Penthai Singpatong, and Palangpol Petchyindee Academy, among others. His favorite technique is his right roundhouse kick. Fighting since the age of 9, he has over 200 professional Muay Thai fights. Sarawut is originally from Thailand.